From our Winter 2015 issue, “Frida Entertained” by Mitchell Krockmalnik Grabois is a triptych of whimsically surreal vignettes starring legendary artist Frida Kahlo. IN NEW YORK CITY, A SCULPTOR TAKES FRIDA KAHLO to see Cocteau’s The Blood of a Poet. In the first section of the film, an artist sketches a face and is horrified when its mouth begins to move. He erases the mouth, but it transfers itself to the palm of his hand. 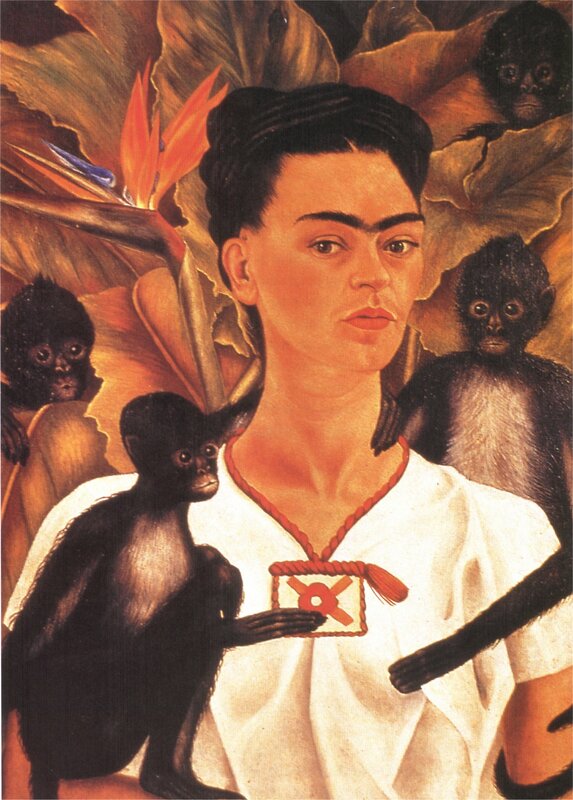 Frida feels for her own lips with the tips of her fingers, but her mouth has disappeared. She rushes out into the lobby, pursued by the sculptor. He finds her holding a jumbo bag of popcorn, shoving the popped kernels into her mouth as fast as she can. She chokes, but continues to fill her mouth. The sculptor pulls the bag away. It bursts, and popcorn fills the air. Frida is sweating. The sculptor pulls out his handkerchief and wipes her forehead above the unibrow that so many men find so appealing. He wipes her upper lip, with its faint black moustache. Frida is nearly panting. I need the taste of salt on my tongue, she says by way of explanation. Frida takes her husband, the muralist Diego Rivera, to the symphony. The orchestra is playing Sacred Service when Diego falls asleep and begins to snore loudly. A dowager sitting on his other side tries to wake him, but Frida grabs her arm to stop her. The dowager, a pioneer of blue hair, knows Spanish and calls Frida Puta, which surprises Frida. She breaks out laughing, which wakes Diego from his sound sleep. Frida finds the theater dull. It is one more thing she reviles about Gringolandia. She takes a taxi to Brooklyn. There Gringolandia redeems itself with Tarzan films. She finds them hilarious and surreal, but is sad when she thinks of her pet monkeys, who are in Mexico City without her. One has died, and she has missed his funeral. 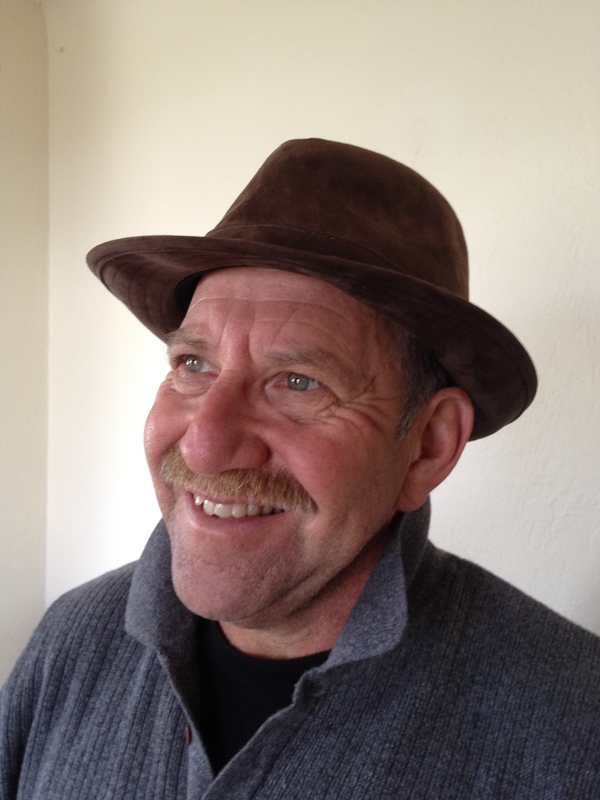 MITCHELL KROCKMALNIK GRABOIS‘ poems and fictions have appeared in hundreds of literary magazines in the U.S. and abroad. He is a regular contributor to The Prague Revue, and has been thrice nominated for the Pushcart Prize. His novel, Two-Headed Dog, based on his work as a clinical psychologist in a state hospital, is available for 99 cents from Kindle and Nook, or as a print edition.